Home Blog Available for Pre-order! 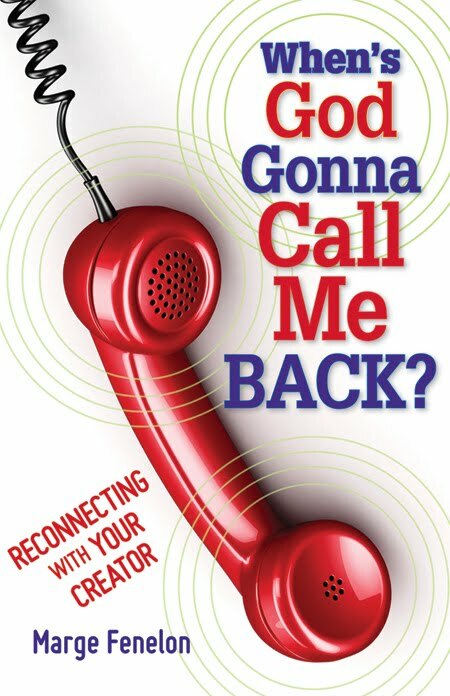 I’m excited to announce that When’s God Gonna Call Me Back? is in house! Shipments will go out shortly. You can pre-order signed copies on my website (www.margefenelon.com) for just cents more than you’ll pay on Amazon. Please let me know if you plan on ordering multiple copies and I’ll adjust the shipping costs for you via email. I owe a debt of gratitude to the folks who courageously shared with me some of the most difficult things they’ve ever told anyone. I also owe the Archdiocese of Milwaukee a great big thanks – you know who you are – for help with the tough questions. Certainly, Fenelon Clan gets first prize for love and support (and patience…oh, so much patience!) as I muddled through the material and pounded out the manuscript. Of course, the deepest gratitude goes to the Triune God and our Blessed Mother. I couldn’t have done it without them. Please help me to spread the word by telling everyone you know about this important work!